Yesterday, I wrote about humility. Today I want to see what a humble leader really looks like. When we talk in terms of sheer historical impact, there’s little argument that Jesus Christ was the most explosive leader of all time. There are over 2 billion professing Christians in the world today. Wether you know Him as the Son of God or just a good teacher, you can’t argue with the empirical results. Follow along with these historically reliable accounts of His life and you’ll see the ideal of what a humble leader should look like. Jesus didn’t come to lay a heavy weight on His followers, but to relieve them. Jesus had compassion on society’s most downtrodden and outcast individuals. Jesus never made a decision apart from the wisdom and guidance of His Father. Jesus was not quick to anger. He patiently bore His opponents’ criticism. Jesus was the embodiment of kindness and commanded His disciples to be the same. Even Jesus’ enemies recognized Him as one who always spoke the truth. Jesus submitted and was always grateful to the Father. Jesus led by example, which made His instructions a natural outpouring of His goodness. Jesus was devoted to the mission His Father sent him on, even if it meant His death. In His mercy, Jesus held off on His judgement and extended healing. In astonishing fashion, Jesus humbled himself and took the station of the lowest of the low. Jesus would offer His life as a sacrifice to redeem the same people who sought His death. Great leaders learn by following in the footsteps of those who have gone before them. We have the most perfect example of life and leadership in Jesus Christ and an open invitation to follow in His footsteps. All we have to do is accept. If you want to know more about what that looks like, email me and we’ll talk about it. Join the conversation: What signs or traits would you add to this list? Loved this Kenny! …and yesterday’s post also. Thank you so much for reading, George! I guess if I would add anything to your list it would be Agape love….an ability to look into the heart of men and women and love them anyway. That acceptance does so much to bring healing and help people come to see their sins. It changes us. I really appreciate your list Kenny. It has the marks of true leadership because it is based on the only perfect leader….Jesus Christ. Blessings! Great addition, Barbara. Thank you so much for reading and sharing your thoughts. I love this post! Thanks Kenny for giving me food for thought…I’d have to agree with Barbara that I would also add love, perfect love. Great point, Rachel. 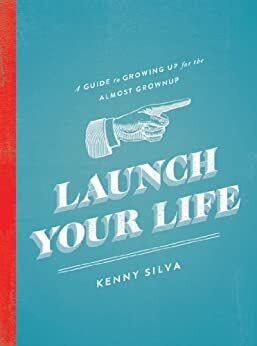 I was reluctant to add love, as I wrote a lot about it in yesterday’s post: http://kennysilva.net/only-proud-people-use-humility/ . You’re right though. Love is an important sign of a humble leader. Thank you so much for reading and commenting. Great post, Kenny. This is my first visit to your site and an enjoyable one at that. Is it just me, or is servant leadership experiencing a revival? I am drawn to it, but even so it seems to be a topic of increasing popularity. I think a lot of your humble traits fit well with servant leadership and will do my best to incorporate them. GENEROSITY particularly spoke to me. We are all so busy these days…what a novel concept to give to all who ask, and perhaps even doubly to those who demand it of us. Humility is the step to greatness. Thanks for the article.